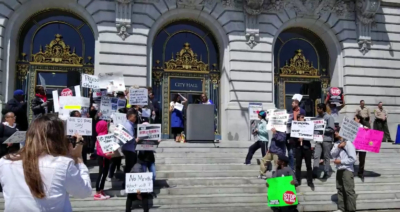 The following are a few videos of some of the speakers at our No On Prop E rally in San Francisco. 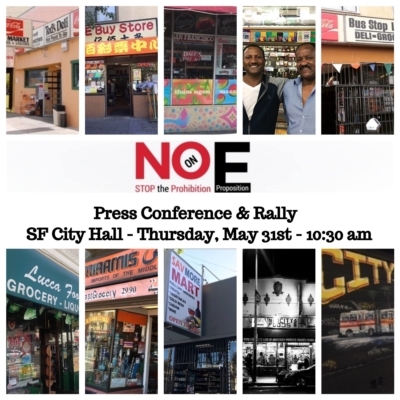 Join us in front of City Hall in San Francisco for a rally and press conference and our No On E efforts. 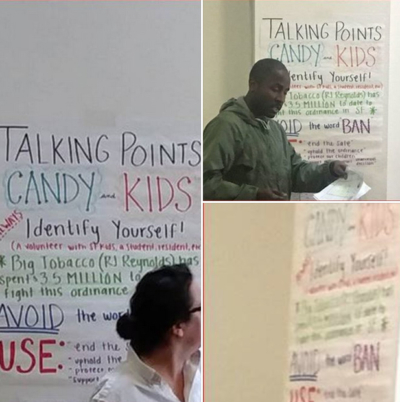 It appears the "Yes on Prop E" committee who are in favor of PROHIBITION of flavored vapor products in San Francisco is terribly afraid of admitting to their prohibitionist tendencies and has been instructing their canvassers to not use the word "BAN" in public. Five more weeks folks and it'll be a very interesting and important day in San Francisco. Regardless of the outcome, a big thank you to all the members of the coalition! Despite many years of work on kicking butts of the cigarette variety, many trusted institutions have opted to disregard science in favor of prohibition. Smokers and those who’ve transitioned to vapor products are quickly becoming casualties of THEIR war on smoking. Media campaigns, testimony and the overall message from public health has been that smoking is no longer a problem, but e-cigarettes are. As previously announced, a ballot committee has been formed to address the "flavor ban" ordinance in San Francisco to force a public referendum. For details on what this means, please check our Q&A. Since that announcement, signature gathering has started in order to get the nearly 20,000 required signatures to file. As of today, that goal has been accomplished! 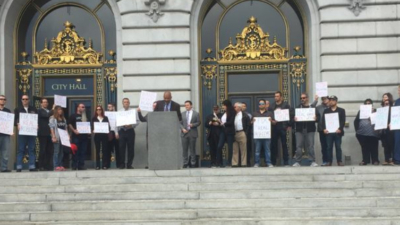 Over the last few months, Not Blowing Smoke has spearheaded the fight against the local flavor bans in the San Francisco Bay Area along with a wider coalition of consumer, industry and small business partners. We have continued working closely with our colleagues and are excited to jointly unveil the beginning of a new campaign. 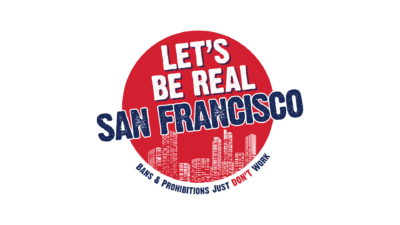 In the wake of the city’s passage of an ordinance that would ban the sale of most vaping products and e-cigarettes, menthol cigarettes, and other tobacco products, a group of concerned residents, including small business leaders, retailers, adult consumers, and free choice advocates have announced the formation of Let’s Be Real, San Francisco.